Travel has long been a robust and active sector for affiliate activity on Awin. Last year, publishers on Awin, including travel bloggers across the globe, made over $400 million in commissions. Here is a selection of brands no travel blogger can afford to miss. GearBest is for gadget lovers, by gadgets lovers. They share your passion for all kinds of cool tech and the hottest gears, offering great value to buyers by running on a low margin. Join the GearBest program here. TheHut is a leading luxury online department store bringing the very best of quality, luxury brands. TheHut specializes in home and garden, fashion, beauty, and lifestyle products. Whether looking to update your home, wardrobe or even treat a loved one, they have something for everyone. Find your perfect travel companion at eBags.com. Offering the latest styles in luggage, handbags, backpacks and business bags, eBags.com features over 81,000 products from over 600 brands including Michael Kors, Tumi, Kate Spade and more. Join the eBags program here. Loews Hotels is the leading one-of-a-kind luxury and upper-upscale hotels located in key urban and resort destinations throughout the United States and Canada. Join the Loews Hotels progam here. SWISS is Switzerland's best known airline and serves over 80 destinations all over the world with its 90- aircraft fleet. Join the SWISS program here. Booking.com guarantees the best prices for any type of property. From apartments, boats and castles to treehouses, villas and yurts, the type of accommodation listed on Booking.com today is more diverse than ever. Truly international, Booking.com is available in more than 40 languages, and offers over 900,000 properties in 221 countries. For over 40 years, Lonely Planet has been the leader in travel guide book publishing, renowned for its first-hand approach and commitment to providing the best information for travelers. In addition to around 500 trustworthy and inspiring books, Lonely Planet produces an award-winning website and a range of innovative digital products. Join the Loneley Planet program here. momondo is a free, independent and inspirational global travel search site comparing billions of cheap flights, hotels and car hire deals. Serving travelers across more than 30 markets globally, and offering a bold and colorful travel universe that provides complete price transparency across flights, hotels and cars, momondo inspires and enables everyone to explore our wonderful world. Join the Momondo program here. Travelzoo is a trusted publisher of travel, entertainment and local deals. Travelzoo Deal Experts research, evaluate and test thousands of deals to find those with true value. More than 2,000 companies from around the world list their very best offers with Travelzoo. 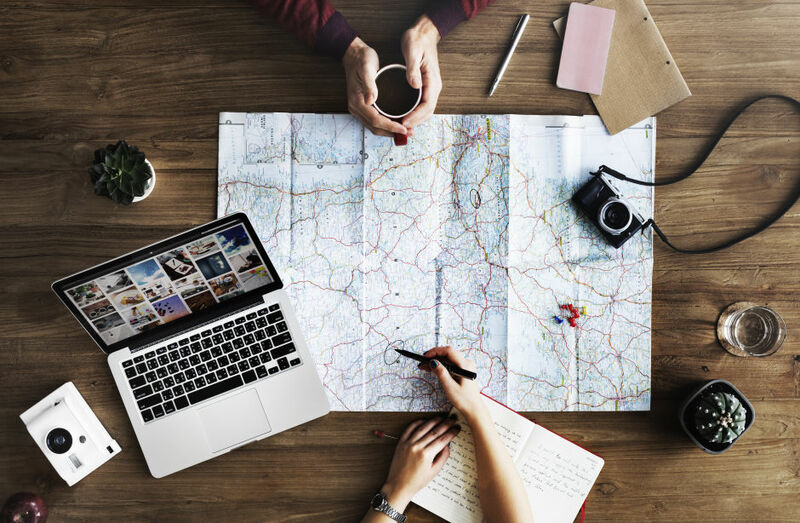 With deal experts located in 25 offices across North America, Europe and Asia, Travelzoo works with companies to sharpen their offers and provide you the smartest information. CLEAR is the fastest and most-predictable way to get through airport security. Their goal is to make travel and security faster, more predictable, and seamless. Using biometric technology in conjunction with current security practice, CLEAR is able to remove the more-tedious processes from the system. Less documents, metal detectors, and physical screening are just some of the improvements they've brought to airports and arenas already. Join the CLEAR program here.